Police in Seattle have released photos of the shotgun Nirvana frontman Kurt Cobain used to kill himself more than two decades ago. SEATTLE (AP) — Police in Seattle have released photos of the shotgun Nirvana frontman Kurt Cobain used to kill himself more than two decades ago. Seattle police cold case Detective Mike Ciesynski is shown holding Cobain's gun at different angles in five photos posted to the police department's website Wednesday. The photos were taken in June 2015, added to the city of Seattle's computer system March 3 and since then have been added to the investigative file, according to police. It's unclear why they took the photos last year or why they're releasing them to the public at this time. A message left with Seattle police wasn't immediately returned. Cobain's body was found in Seattle on April 8, 1994. An investigation determined that days earlier Cobain had gone into the greenhouse of his large home and taken a massive dose of heroin. He then shot himself with a 20-gauge shotgun. His death was ruled a suicide. 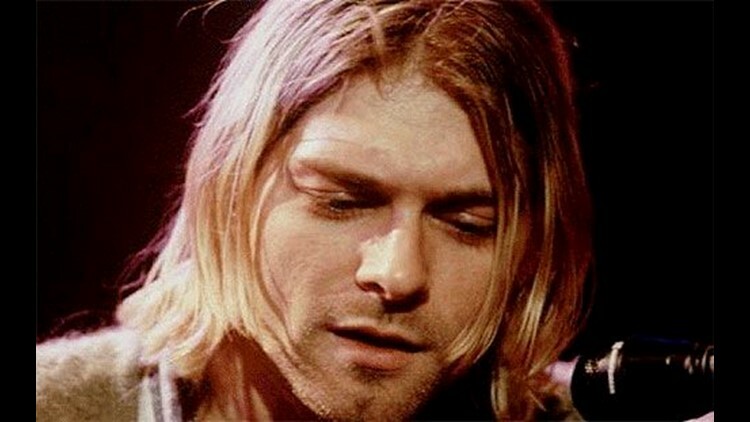 On the 20th anniversary of Cobain's death in 2014, Ciesynski reviewed the case files and said he found no new information to change the police conclusion that Cobain took his own life. He did find four rolls of undeveloped film from the suicide scene. After releasing two of the images in 2014, police released 34 additional photos taken at the scene due to numerous public disclosure requests for the images. Cobain, who was 27 when he died, helped popularize the Pacific Northwest's heavy, muddy "grunge" rock, along with bands like Pearl Jam, Soundgarden, Alice in Chains and Mudhoney.